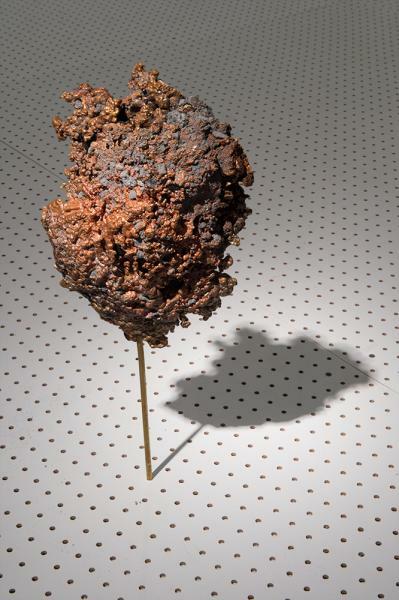 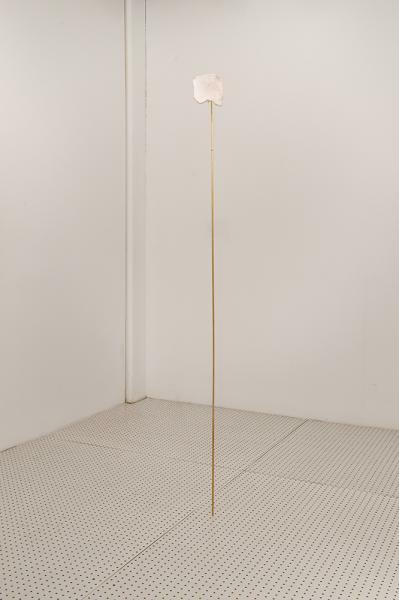 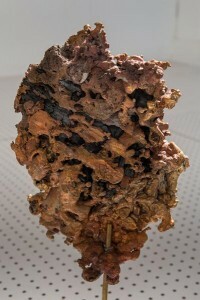 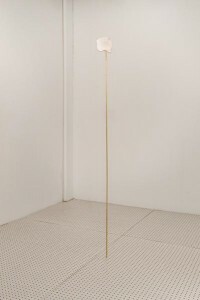 Material in a Closed System; Conservation of Mass and Energy Twenty pound copper-alloy sculpture made by melting electrical wire in a charcoal pit. 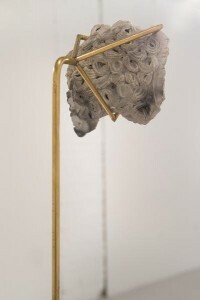 Material in a Closed System; Abdulrahman al-Awlaki's skull Ceramic sculpture of the left parietal section of Awlaki's cranium as described by his family. 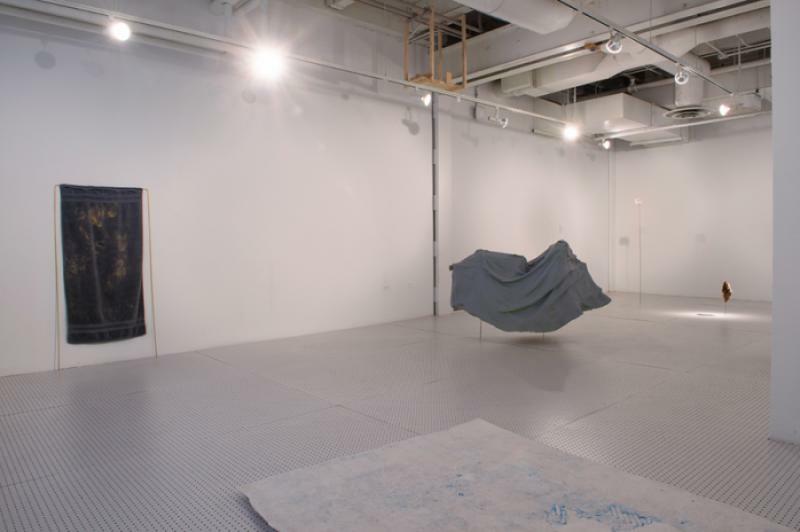 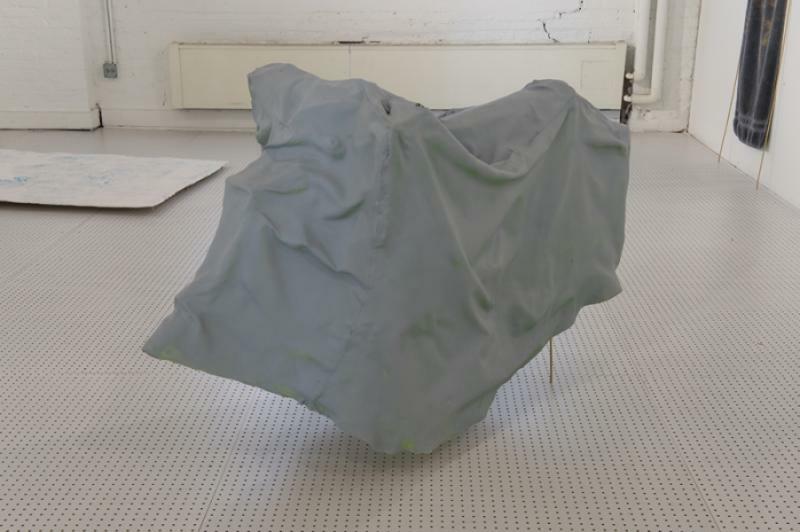 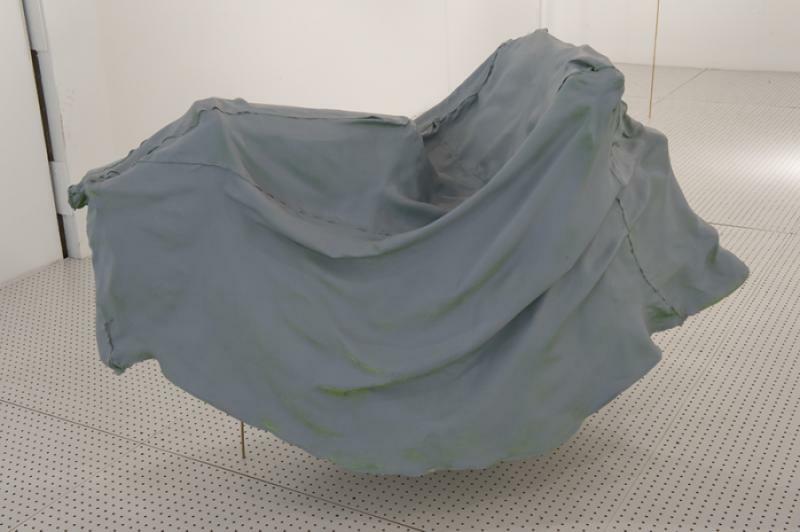 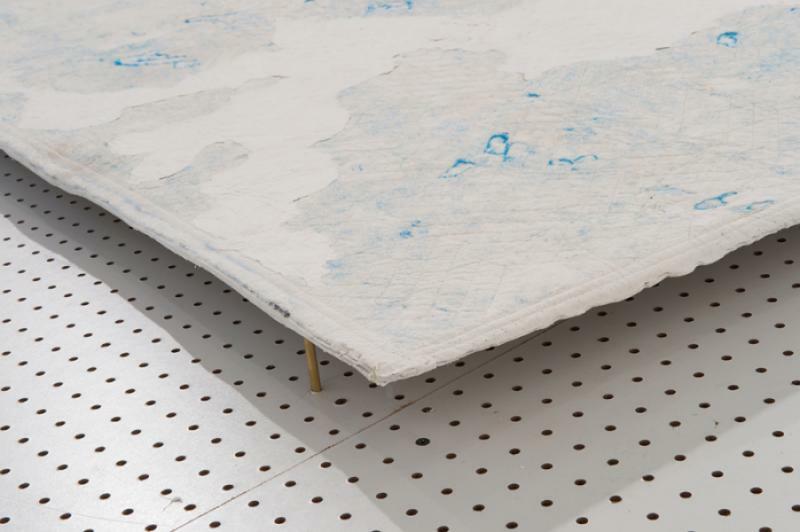 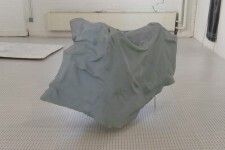 Description of an Invisible Form; Looking Through Epoxy and fiberglass sculpture of a vehicle cover. 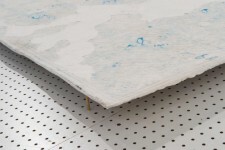 Calcium Blanket for Bones Cast plaster-(calcium sulfate)-packing blanket. 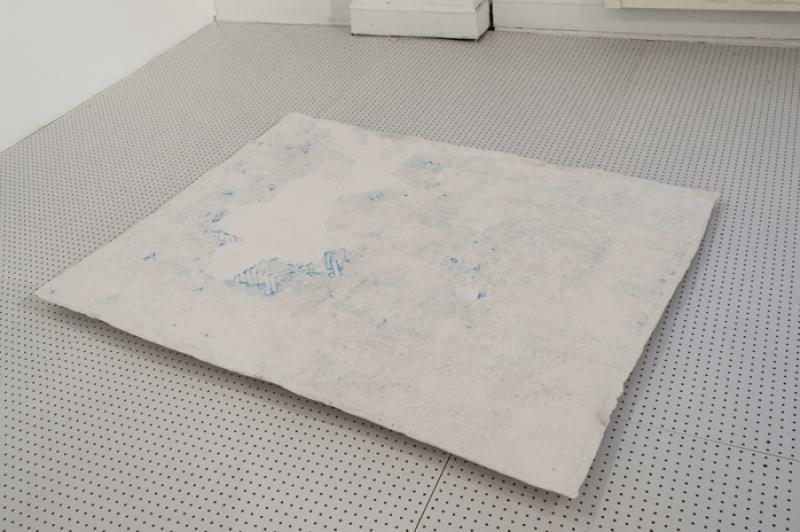 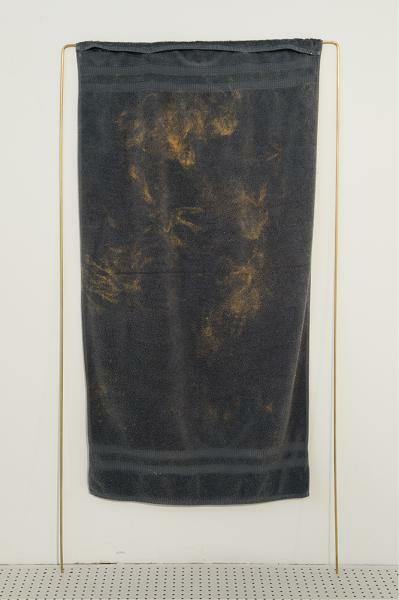 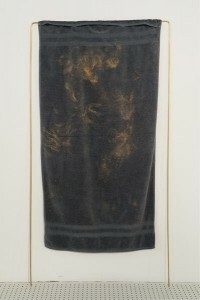 Daryl's Towel, Bleached and Body Imprinted Cotton towel peroxide bleached while in contact with a body.